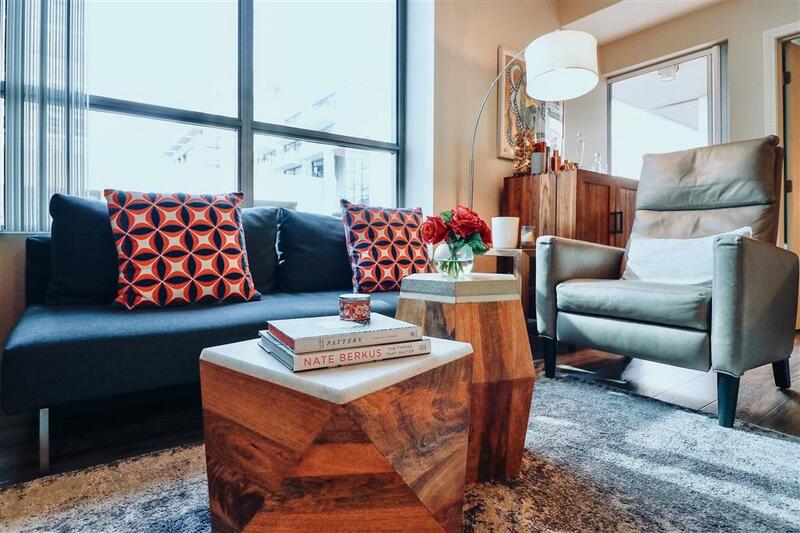 Experience all the excitement of cosmopolitan living in this newly-renovated residence in the heart of downtown. Adorned with a gourmet kitchen in the heart of the home, modern wood-style flooring, and designer touches throughout. 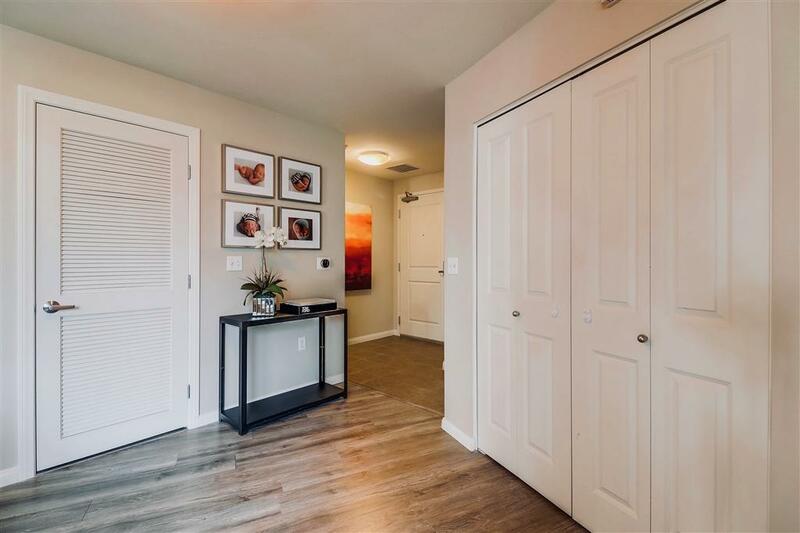 This unit features new quartzite countertops in the kitchen & both bathrooms, a split bedroom floor plan, large master suite with its own sitting area, walk-in closet, & upgraded bathroom fixtures. 2 side-by-side parking spaces & 1 storage unit included. 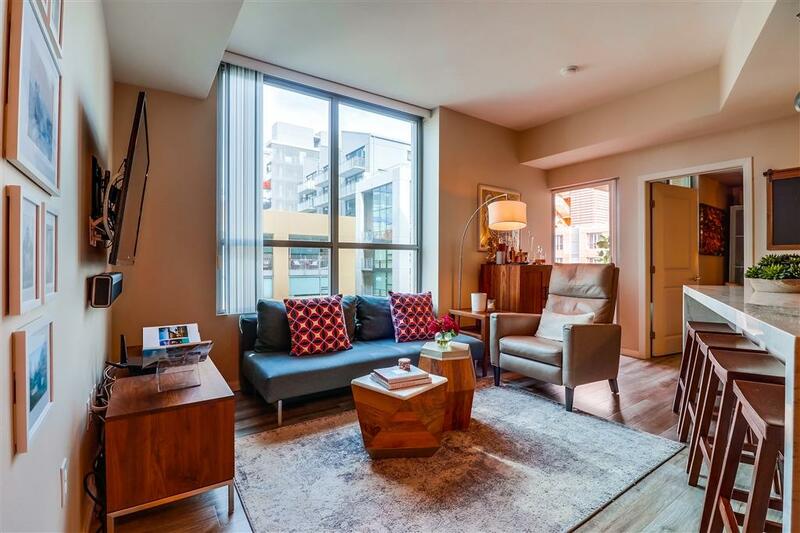 Complex is VA approved Experience all the excitement of cosmopolitan living in this newly-renovated residence in the heart of downtown. 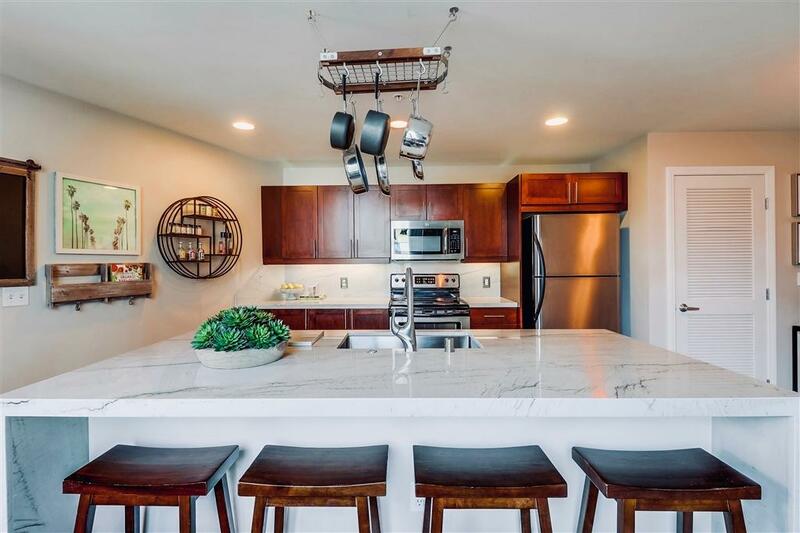 Adorned with a gourmet kitchen in the heart of the home, modern wood-style flooring, and designer touches throughout, this residence boasts beauty, sophistication and seamless functionality. Socialize & gather around this oversized kitchen island, featuring new quartzite countertop with a waterfall edge. Retreat & relax in a true master suite, with its own separate master seating area, walk-in-closet, and a master bathroom appointed in stunning white quartzite & Kohler fixtures. With its split bedroom floor plan & a location nestled on a quiet tree-lined street, this home offers luxury, serenity & privacy. 2 side-by-side parking spaces & 1 storage unit are included! Complex is VA approved! Listing provided courtesy of Metro Pacific Real Estate. Listing information © 2019 San Diego MLS, Inc.